One of the world’s most renowned online casino game makers is High 5 Games. This software developer has designed some of the most famous names in the slot game world, from Da Vinci Diamonds and Noah’s Ark to Cats and Secrets of the Forest. 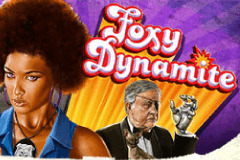 The firm has a unique style that many fans will instantly recognize, with an artistic charm accompanied by an interactive element that is always appealing to all types of slots players. Many of the slots from High 5 Games are available to play at Slots Temple on desktop, tablet and mobile platforms and just like all of our games, the High 5 slots are free to play. Click here to read more. High 5 has been designing games for the last 20 years and the company is run by a self-proclaimed eclectic group of talented individuals that range from programmers and software engineers through to mathematicians. Their wild imaginations are palpable in their games, and slots designed by High 5 Games are anything but ordinary. That is why they are industry leaders when it comes to producing games that not only perform well but that are hugely popular. In 2011, High 5 Games released two of history’s best loved slots with Black Widow and Golden Goddess, both adored by fans all over the world. High 5 Games is one of the most appreciated and decorated companies in slot gaming history. It is one of a kind and unlike other developers that choose to follow a similar layout and concept to other companies, this company is not afraid to branch out and try new things, all of which incorporate the recognizable style that is synonymous with many of the most popular High 5 Games slots. High 5’s distinctive designs ensure that it stands head and shoulders above its competition and there is always tons of fun to be had when playing High 5 Games, with all kinds of bonus rounds, scatters and exclusive payouts that ensure each experience is a memorable one. Some slot games look like every other slot game that you have ever played but if there’s one thing that you will never have to worry about when playing High 5 Games is the possibility of getting bored, as every game is a distinctive one. The design and layout of their slots is often fairly simple and straightforward but this doesn’t mean that they are dull! In fact, it is the complete opposite, as High 5 Games slots always offer a full script of animation which is what takes all of their games to a whole different level. The High 5 Games brand is a force to be reckoned within the competitive world of software development and it has a following of fans that many companies could only dream about. Its formula for success is not complicated and the company relies on the production of good quality slots games with a strong interactive option, that encourages players to really feel involved when playing their slots.